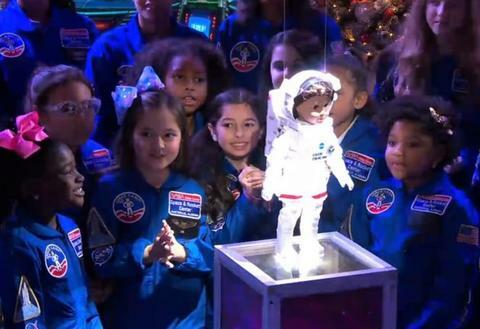 American Girl's new 2018 Girl of the Year, Luciana Vega, is on a mission: she wants to be the first person on Mars. American Girl, the toymaker company making dolls with aspirational stories, debuted this year's new American Girl with the goal of increasing girls' interest in STEM. With the help of NASA's former chief scientists Dr. Ellen Stofan and NASA astronaut Dr. Megan McArthur Behnken, Luciana's character and storyline was made as accurate as possible: she's an an 11-year-old who wins a scholarship to attend Space Camp in Huntsville, Alabama. Befitting of her storyline, her outfits include a space suit and a galaxy-themed dress with silver futuristic shoes. 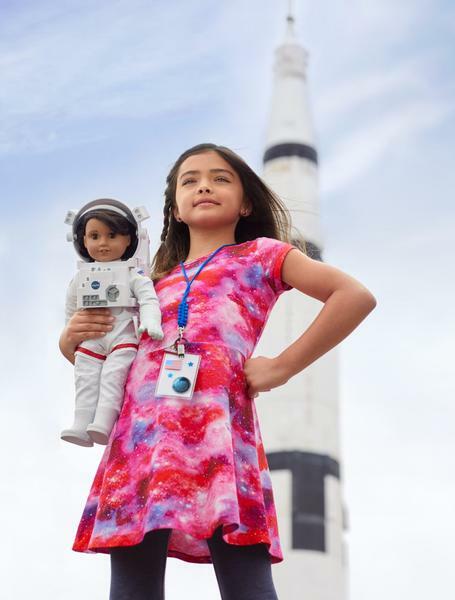 In addition to the American Girl's new addition of Luciana, they have launched Blast Off to Discovery Day in partnership with NASA, Scholastic and Space Camp. The initiative aims to get third through fifth graders into space exploration with Luciana-inspired STEM-based lessons and activities, videos and a game that will be available on scholastic.com on January 31, 2018. American Girl's initiative to increase girls' interest in STEM arises during a time when brands, organizations and government offices have been putting effort to do just the same. A necessary effort as the statistics of women in the STEM industry have proven to show a drastic gender gap. According to the National Girls Collaborative Project, only 29% of women make up the STEM industry, despite the fact that girls perform at the same rate in mathematics and science courses as their male counterparts, and make up for 50.3% of science and engineering bachelor degrees. 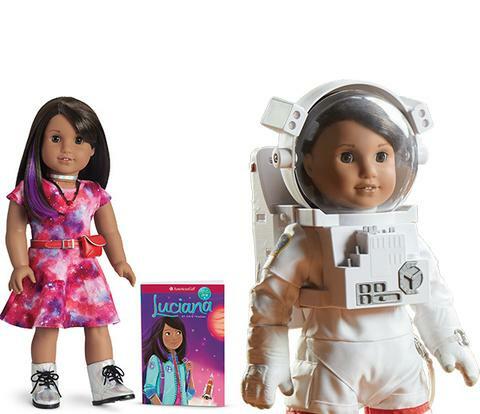 To add to the stride in diversifying the STEM industry by sparking interest in youth, the new American Doll, Luciana, is latina. Although there are rather low numbers for women in the science, technology, engineering and mathematics field, it has become slightly more diverse. However, latino and black races remain underrepresented. According to the National Girls Collaborative Project, in 2013, 70% of workers in science and engineering occupations were white. Additionally, Hispanics, blacks, and American Indians/Alaska Natives make up a smaller share of the science and engineering workforce (11%) than their proportion in the general population (27% of U.S. working age population). Earlier in 2017, LEGO had also released the toy set, "Women of NASA" collection, dedicated to the women who helped NASA get to space, including Nancy Grace Roman, scientist Margaret Hamilton, who was the lead software designer for the Apollo 11 moon landing; and astronauts Sally Ride and Mae Jemison, the first woman and African American woman in space.